Can Satellite Surveillance Help End Slavery in the Seafood Industry? 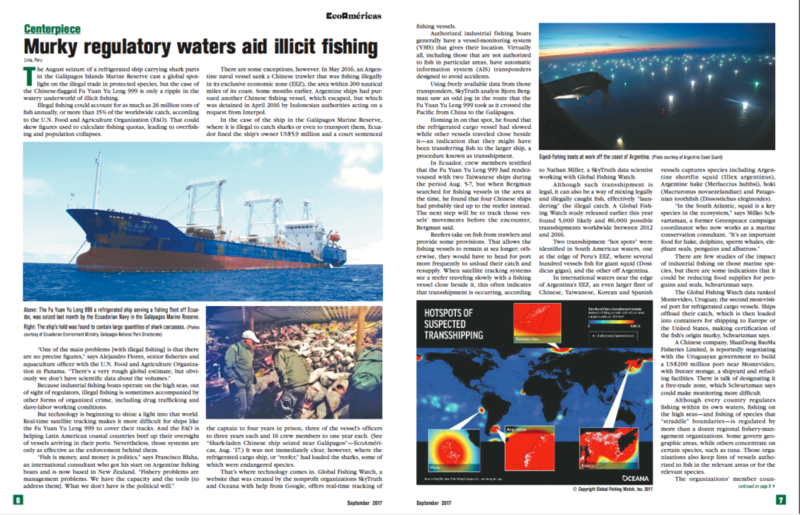 The article includes details on our partnership with Global Fishing Watch. The goal of the Platform is to increase transparency and sustainability in the seafood industry. It took less than a minute of satellite time to catch these thieves red-handed: A small nonprofit caught these "dark" ocean vessels used for pirate fishing. SkyTruth’s pioneering work using satellite monitoring to aid in environmental law enforcement is listed as one of many positive environmental legacies of the Obama era. SkyTruth’s estimate of an oil spill on the Chandeleur Sound is used by activists in Louisiana to fight the construction of the Bayou Bridge Pipeline. 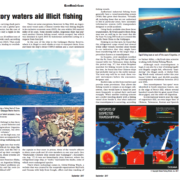 Nat Geo lists the launch of Global Fishing Watch as one of the greatest achievements in ocean conservation in 2016.